On a recent trip to Mexico, we met a woman who worked on a foot-pump Singer sewing machine with hand-tooled silver inlays. The machine had to be a hundred years old. 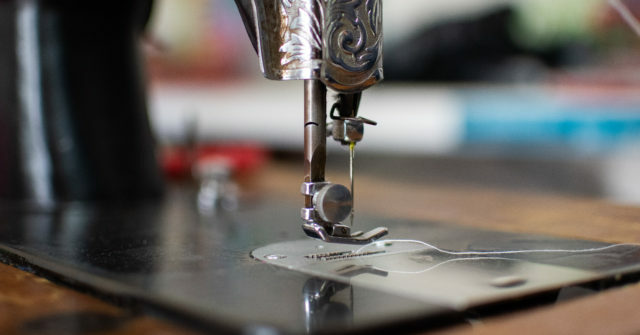 She sewed beautiful, handmade vinyl bags, purses, and wallets; the whole shop was full of items she’d made with this simple machine. So where does craft meet art? Maybe it goes something like: inspiration is the story, art the communication, and craft the execution. But what if you called artists craftsmen; would you expect more from their technique? And if craftsmen were called artists, would they be labeled sellouts for making purses and wallets?